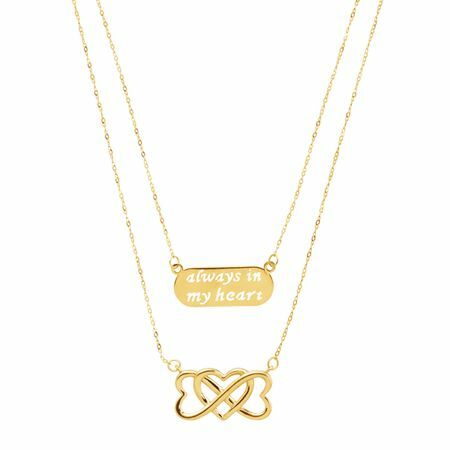 This layered necklace is the perfect gift for someone who is always in your heart. A cut-out rounded plate reads 'Always in My Heart' while the longest chain boasts an infinity heart design, all crafted in 10K gold. Plate measures 3/8 by 7/8 inches and infinity heart measures 7/16 by 9/16 inches with a total length of 17 inches.